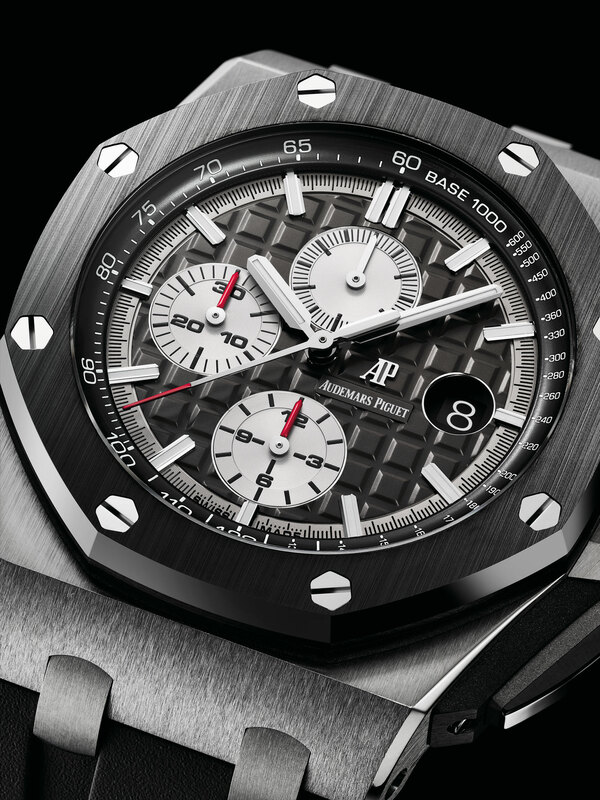 Nicknamed the Royal Oak Offshore Chronograph “Novelty”, the 44mm version of Audemars Piguet‘s octagonal sports chronograph was not the focus of the new Royal Oak models unveiled at SIHH 2017, but nonetheless got a facelift with new dials (while keeping everything else the same). More significantly, a new version in titanium was added – the lightweight alloy’s debut for the “Novelty”. 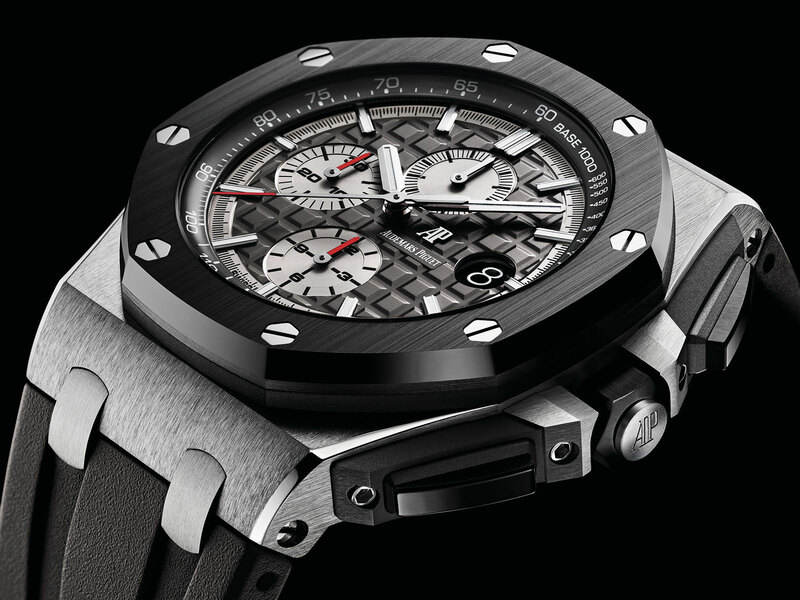 The Royal Oak Offshore Chronograph 44mm in titanium (ref. 26400IO.OO.A004CA.01) features a contrasting black ceramic bezel, and paired with a dark grey dial as well as a grey rubber strap. 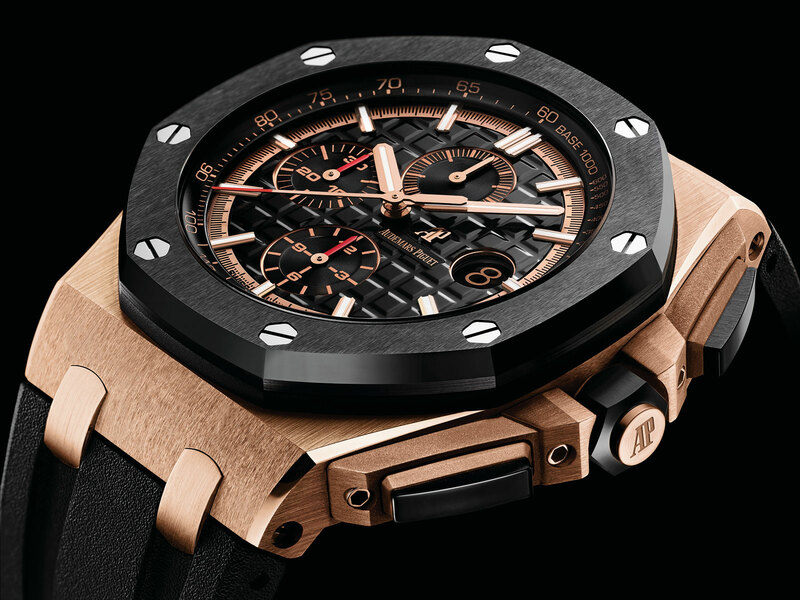 The facelifted Royal Oak Offshore Chronograph in pink gold (ref. 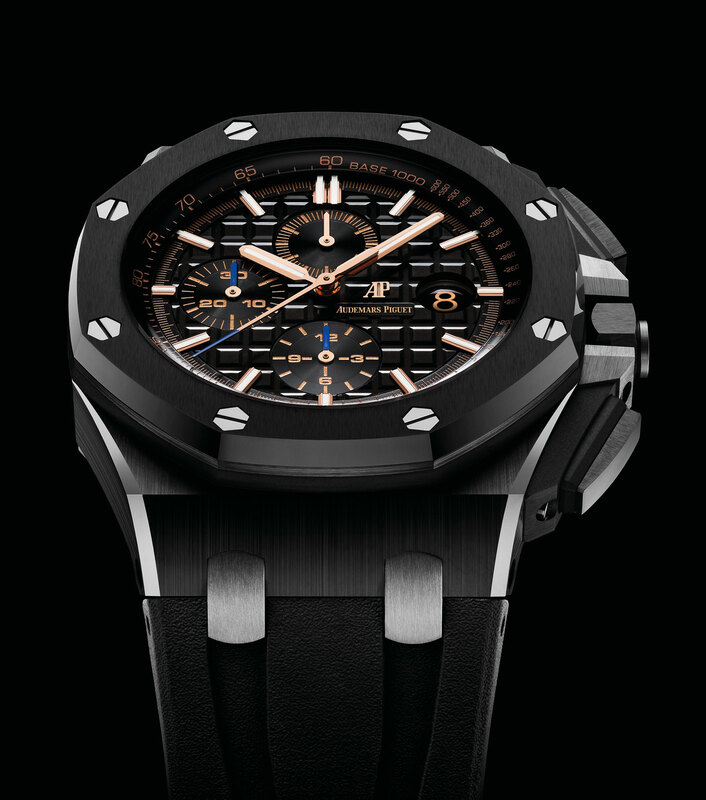 26401RO.OO.A002CA.02) now has a black dial with pink gold accents. The hands, hour markers, chapter ring as well as printed text are all in pink gold, giving the dial greater contrast compared to the earlier model, which was white on black. And the last of the trio is the “Novelty” in black ceramic (ref. 26405CE.OO.A002CA.02). Unlike the earlier version that had a black and silver colour scheme, the new ceramic chronograph has a black dial with pink gold accents, as well as a touch of dark blue. 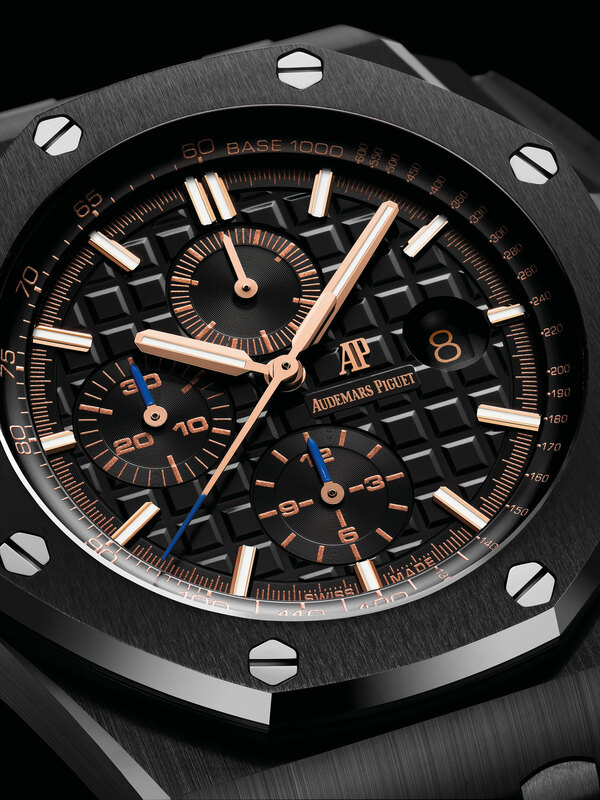 The hands, hour markers and dial text are pink gold, while the chronograph hands are tipped in dark blue. 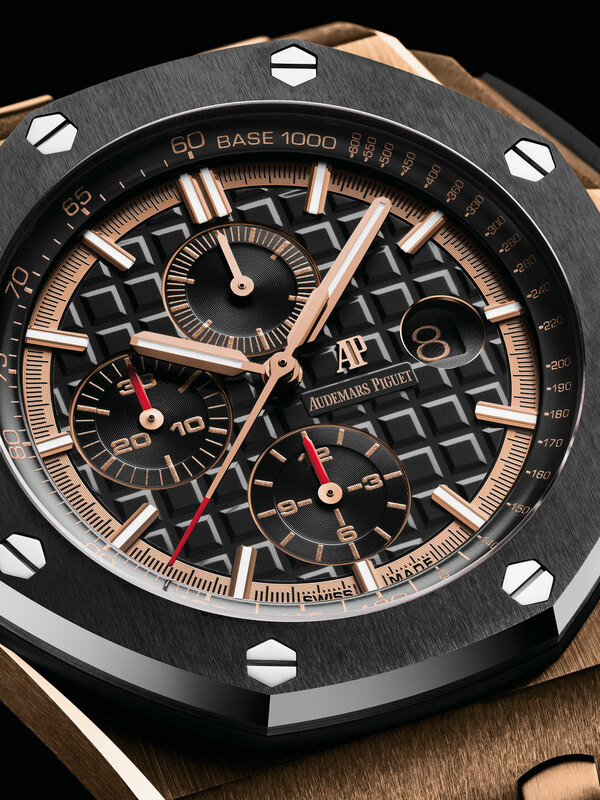 As before, the trio are all powered by the calibre 3126/3840, which is AP’s in-house automatic calibre topped with a chronograph module made by Dubois-Depraz. 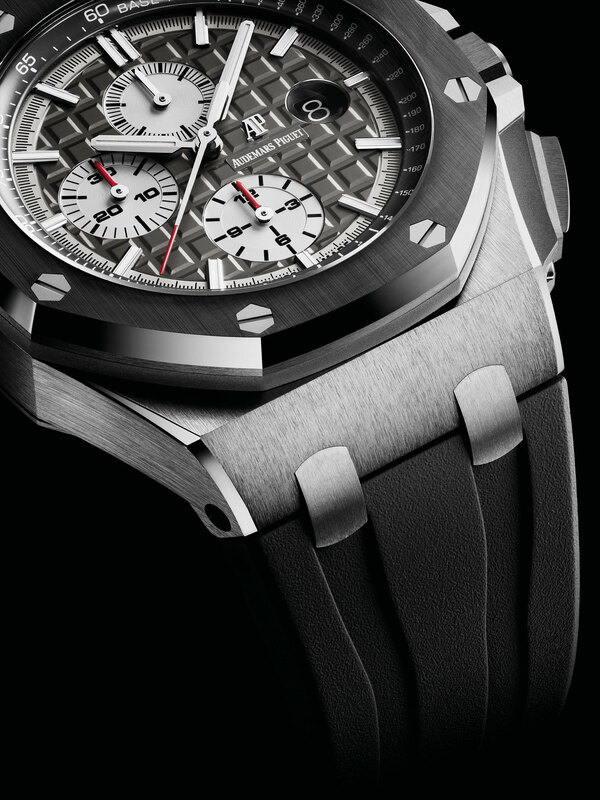 The titanium model is priced at SFr27,500, while the black ceramic is SFr29,000. 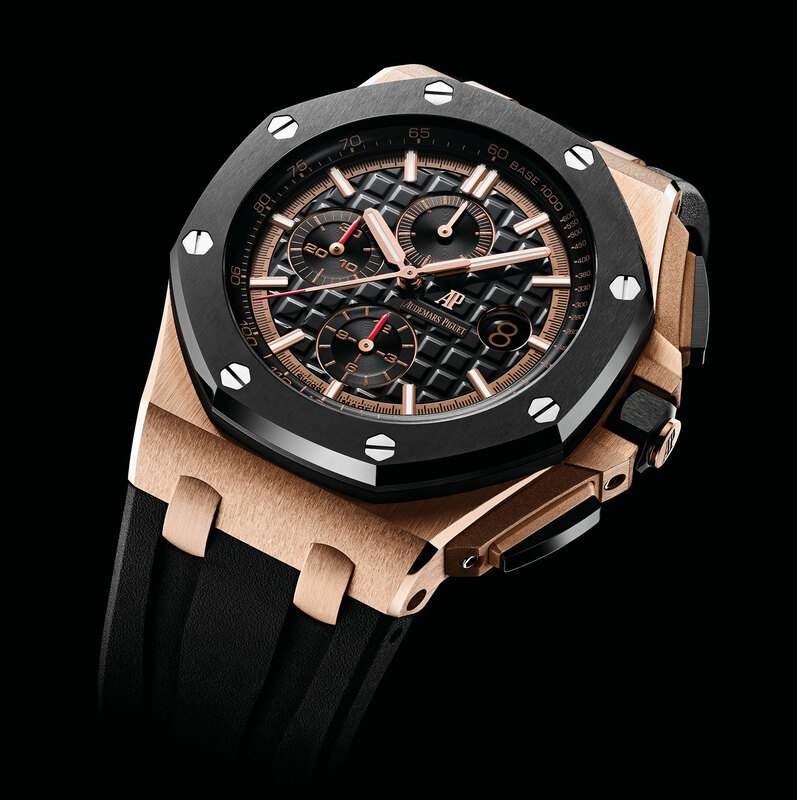 And the pink gold is SFr41,550.